As the days of Summer drift away and the nights become longer, I find myself in a reflective mood. As an introspective person by nature, I reflect a lot. A LOT! I suspect that many of us are like that. It seems to come with the territory of life within the creative arts. Stopping to think about the many aspects of my creative life is therapeutic at its most basic, but more importantly, it provides a basis for confidence and improvement in my craft. Do you take the time to reflect on the good stuff that has happened in your writing life, or just the bad and the ugly? It’s easy to dwell on the negative stuff. We all know, as writers we get enough of that. But I challenge you to think for a bit on the positive. It’s allowed, and I dare say it can work wonders. Last May, I arguably had my “Best Birthday Month Ever”. It truly was amazing! Now, three months later, I still feel excited when I remember it, even though not too much has changed in my professional writing status. That’s okay, because as I reflect back to that thirty-one day period of time, I know that a lot has changed within me as a writer. I might be in something of a holding pattern at the moment, but thinking back fills me with a renewed confidence. 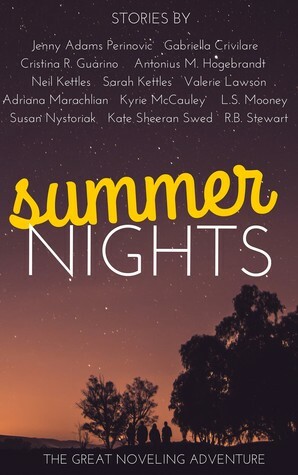 I am published in Summer Nights, a book of short stories, which is so amazing. Although I haven’t signed a publishing contract for my novels or landed an agent yet, I have had a few recent requests. I know that I am capable of creating something of interest and value to people outside of my family and close friends. It is important for writers to take the time for reflection. Look back periodically and remember something that gave you validation along your road to publication. And while much of the path to publishing has us waiting on information, taking the time to reflect on those positive and rewarding things which have brought you to where you are today can be a real source of inspiration. It is pulling me through. What awesome writerly things do you reflect upon? Do you find inspiration from your critique partner? A full request from an agent or editor? How about a blogger, or even an interesting hashtag? Perhaps you got some great feedback at a conference a while back. Did you enter an online contest? What can you reflect on to give you a boost to keep pushing forward? Feel free to comment below! Time For My Favorite .gif Again! As I have mentioned before, I use this picture a lot, simply because it sums up my happiness. It is the picture of “overjoyed”, which is how I feel today. I take it as a good sign that I have a lot to be happy about lately! Today’s post is short and sweet, but I wanted to announce the book birthday of the anthology I have a short story in. These little flash fiction gems run the gamut as far as genre and level of feels. And take a look at this fabulous cover! SUMMER NIGHTS can be ordered at Barnes and Noble, Amazon, Kobo, and a slew of other places. And if you prefer, you can download a free .pdf. Here is the official post announcing SUMMER NIGHTS! Here is the Goodreads page about it! We hope you all enjoy reading SUMMER NIGHTS. Thanks so much for your support! 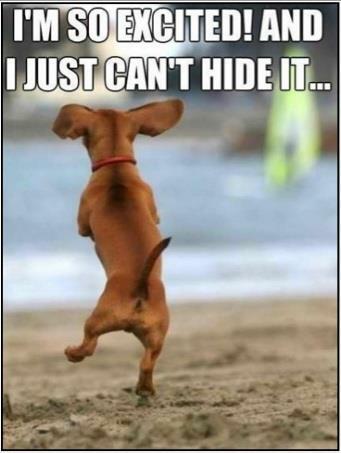 I have used this picture in a previous post about my excitement as I finished a first draft of my latest novel. BUt I do have reason to use it again! 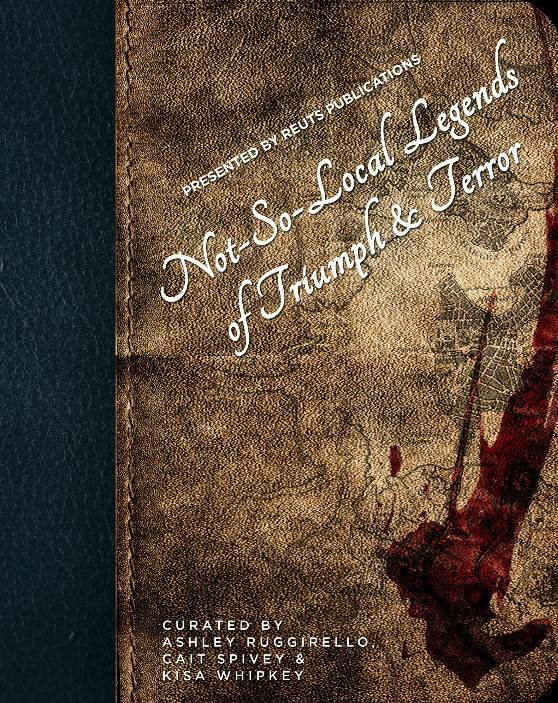 As reported in my last post, “Best Birthday Month…Ever!”, I mentioned that one of my short stories was selected to be included in an anthology. Here are the details as I know them! Release date: June 21, just in time for the start of Summer! I cannot wait! Follow this link for the official announcement! Thank you, Readers, for your interest and support!